In the Gospel Reading from today’s Mass (John 21:1-19), there are several themes that can be explored, most of them dealing with St. Peter. In this reading, Peter is given a chance to atone for his threefold denial of Christ. We also see the Lord affirm Peter’s role as the “shepherd” of the Church when He asks the first pope to “feed my lambs” and “tend my sheep”. We also see Our Lord predicting St. Peter’s suffering and eventual martyrdom. However, there is another theme that I would like to look at – one that directly affects me, and probably affects many of you as well. In the beginning of this passage, we see that the Apostles are back at their “day jobs” as fishermen. Can you imagine what a let down it was to travel around with Jesus for 3 years, witnessing all of His miracles and healings – and then have to return to their ordinary lives as fishermen? However, it is in the midst of that daily work that Jesus appears and blesses their labor. Like many others, I have a secular day job. Often it is a challenge to find God in the midst of my work, but it’s what I am called to do. One of the things made clear in the Vatican II document, Lumen Gentium is that lay people are called to bring God to the home and to the workplace. The bishops, priests and deacons can’t accomplish that task, as they can’t be everywhere. That task is up to lay people like us. Too many times our “religious lives” are considered to be separate from our “daily lives”, and that is wrong. We need to find ways to integrate our Catholic Faith into our everyday lives. That is the challenge of being a Catholic. 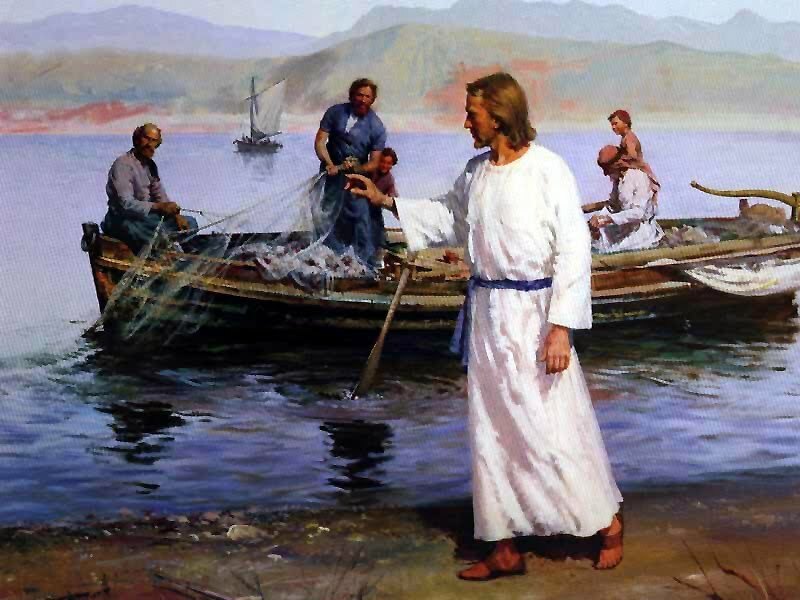 If you have any doubts about Jesus being in your workplace, remember His appearance to the Apostles while they were fishing. He was right with them as they worked, just as He is with each of us. Note also that when they spent the night fishing, they caught nothing. However, once the Lord recommended that they cast the nets over the right side of the boat, they caught more fish than they could handle. While each of us is called to bring the “Good News” into our homes and workplace, the Lord does not expect us to do it alone. He will assist us, just as He helped the Apostles. In the weeks to come, I will be offering some practical suggestions for exactly how to do this, but for now just try to recall that Jesus is with you at home and at work. Being mindful of that fact should add meaning to all of our daily tasks, no matter how mundane or trivial.